A background of machine and hand-stitched hand-dyed cotton, with neocolour crayon and a central hand-stitched 'road' panel of African barkcloth still bearing the original stitching by its African maker. 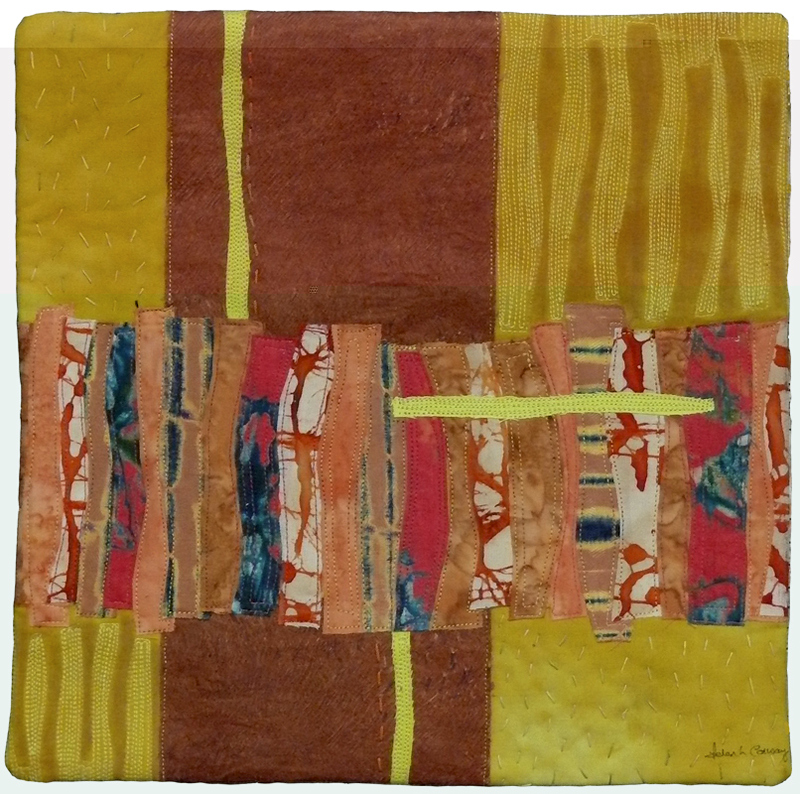 Over that is a 'frontier fence' of raw-edged appliqued hand-dyed fabric and Ghanaian batiks. Building a Studio - 6 - starting to take shape!